To browse our complete DVD selection, please click here. To browse our complete Catholic Bible selection, including Family Bibles and Study Bibles, please click here. To browse our Book selection for more gift ideas, please click here. To browse our Catholic jewelry selection for more gift ideas, please click here. To browse our Rosary selection for more gift ideas, please click here. Christmas cards are here. Orders yours today! To browse our complete selection of Christmas cards, please click here. To browse our complete Calendar selection, please click here. To browse our complete Religious Art selection, please click here. stands, sanctuary lamps, altar server apparel and so much more! Aquinas and More is helping you take care of your Christmas shopping early so you can enjoy a spiritually rewarding Advent. Take 15% off just about everything on our site from Wednesday (21) evening – Monday (26) evening. All orders over $55 will include a free copy of Catholic Men’s Quarterly and receive free standard shipping in the US. (Magazine subscriptions not included). outsider on the fringes of society. adopted father had rescued him as a baby so long ago. The answers will change his life forever…and maybe yours. This adorable card has been a runaway bestseller this season. More are on the way! We also have plenty of other Advent and Christmas items available. Since almost all of our jewelry is available for shipping within three business days, now the best time to get that special Christmas present. Happy Thanksgiving from the Aquinas and More staff. 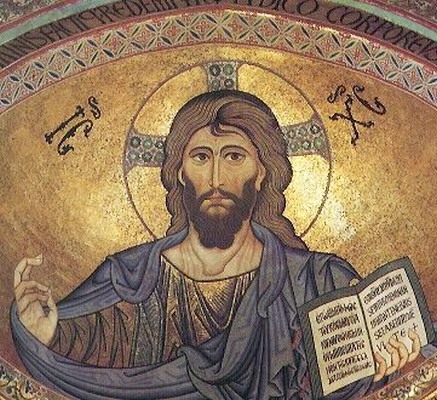 Secularism, Pius XI, and Christ the King? “Pope Pius XI instituted the Feast of Christ the King in 1925 in his encyclical Quas Primas. Pope Pius connected the denial of Christ as king to the rise of secularism. At the time of Quas Primas, secularism was on the rise, and many Christians, even Catholics, were doubting Christ’s authority, as well as the Church’s, and even doubting Christ’s very existence. At the time, Pius XI witnessed the rise of dictatorships in Europe, and saw even Catholics being taken in by these earthly leaders. Just as the Feast of Corpus Christi was instituted when devotion to the Holy Eucharist was at a low point, the Feast of Christ the King was instituted during a time when respect for Christ and the Church was waning, when the feast was most needed. In fact, it is still needed today, as these problems have not vanished, but instead have worsened around the world. That nations would see that the Church has the right to freedom, and immunity from the state (see Quas Primas, 32). That leaders and nations would see that they are bound to give respect to Christ (see Quas Primas, 31). – excerpted from the Catholic Encyclopedia. Author: Fr. Raniero Cantalamessa, O.F.M. Cap. “By attributing to Jesus the divine title “Lord,” the first confessions of the Church’s faith affirm from the beginning that the power, honor, and glory due to God the Father are due also to Jesus, because “he was in the form of God,” and the Father manifested the sovereignty of Jesus by raising him from the dead and exalting him into his glory. – from the Gospel of St. John, Chapter 18, verses 33, 36, 37. To browse more Vatican Collection items, please click here. Our complete line of beautiful Catholic jewelry from the Stuller Company is on sale at 30% off for a limited time! To browse our selection of Stuller jewelry, please click here. Are you looking for replacement Advent candles for your home or your parish? We have them! To browse our selection of Advent candles, please click here. To browse our huge selection of Christmas cards, please click here. To browse our selection of 2008 calendars, please click here. Aquinas and More Catholic Goods now has Christmas Cards available. Be sure to check out our website for old favorites and over 30 new designs for 2007. To insure that you get the style you want, we encourage you to order early.